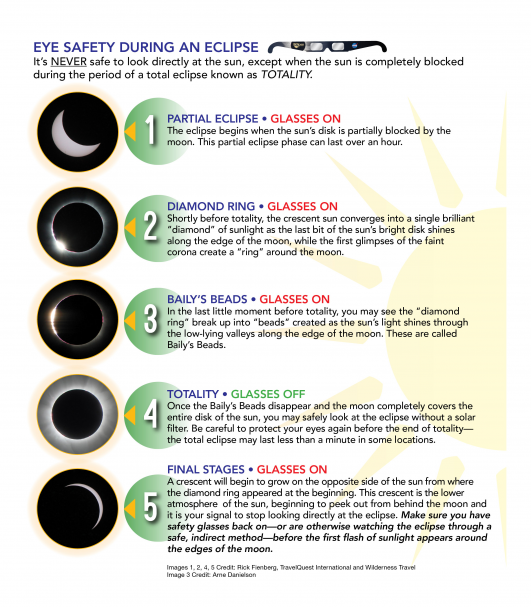 Celebrate the Solar Eclipse at ASU! 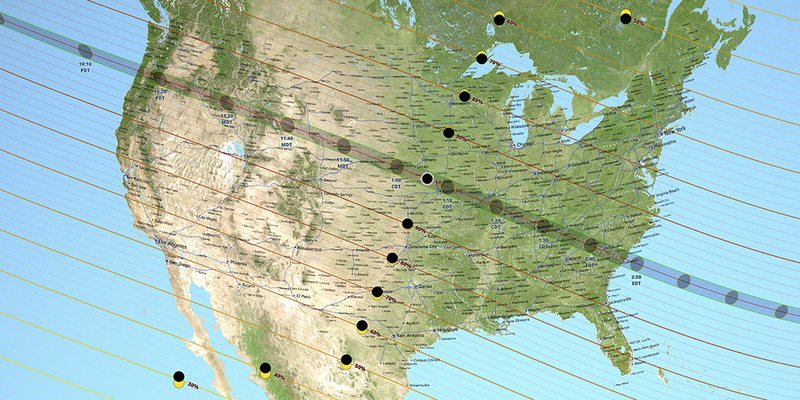 Look no further astronomy lovers, the School of Earth and Space Exploration at ASU is hosting a Solar Eclipse 2017 viewing experience on Monday, Aug. 21 from 9 a.m. to noon. Join us on Hayden Lawn or in Interdisciplinary Science and Technology Building IV on the Tempe campus for this rare, celestial event as we peer through solar telescopes and sport brand-new, free, ASU solar-safe viewing glasses. Plus, there will be live NASA coverage of the event and more interactive displays inside ISTB4, too. Don’t miss out on this fun, free, safe — no burning corneas here — solar eclipse viewing experience. ASU's Interdisciplinary Science and Technology Building IV is the home of the School of Earth and Space Exploration. ISTB 4 is near the intersection of Rural and Terrace Road in Tempe on the east side of campus. This seven-story structure is ASU’s largest research facility and is accessible on foot via Orange Street and McAllister Avenue. If arriving by light rail, exit at the University and Rural Road stop. The Rural Road parking structure is the closest parking to ISTB 4 and is a short walk to Hayden Lawn. Parking is available for $3 per hour inside the Rural Road parking structure. From the parking structure, walk west and enter ISTB 4 through the glass doors on the north side of the building. Please note that a parking fee is charged upon exit. 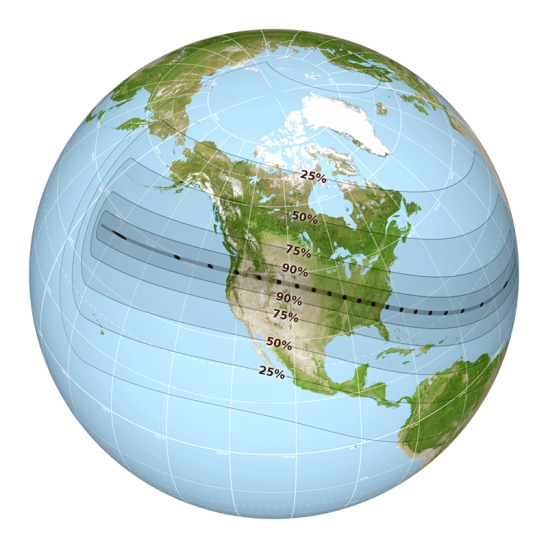 Eclipse: Who, what, when, where and how? 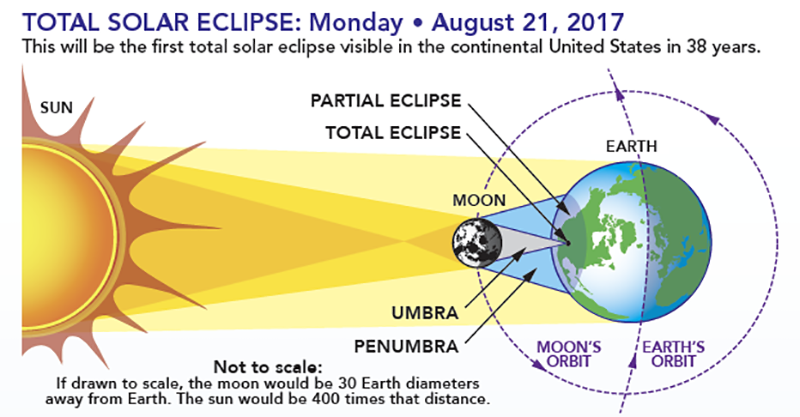 On Monday, Aug. 21,, all of North America will be treated to an eclipse of the sun. Anyone within the path of totality can see one of nature’s most awe-inspiring sights — a total solar eclipse. This path, where the moon will completely cover the sun and the sun's tenuous atmosphere — the corona — can be seen, will stretch from Lincoln Beach, Oregon to Charleston, South Carolina. Observers outside this path will still see a partial solar eclipse where the moon covers part of the sun's disk. Diagram showing the Earth-sun-moon geometry of a total solar eclipse. Not to scale: If drawn to scale, the Moon would be 30 Earth diameters away. The sun would be 400 times that distance. Check with local science museums, schools and astronomy clubs for eclipse glasses—or purchase an ISO 12312-2 compliant and CE certified pair of these special shades! ← Center Welcomes Gabriel de Souza Franco!